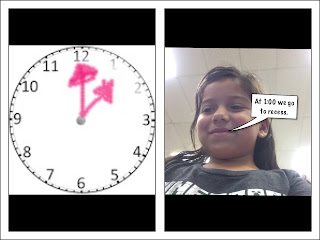 My 1st graders have been doing time to the hour and half hour so for our lesson this week, I decided to read one of my favorite books Scaredy Squirrel and do an ipad lesson. 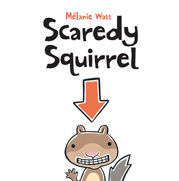 There's just something you have to love about Scaredy Squirrel, his schedule and his fears of the unknown. 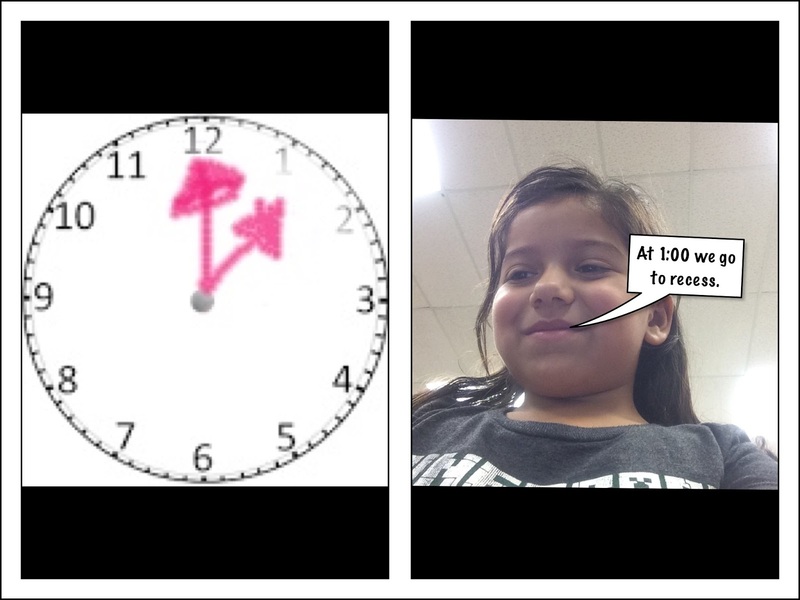 After reading we made a list of their schedule and what they were doing at different times of the day. 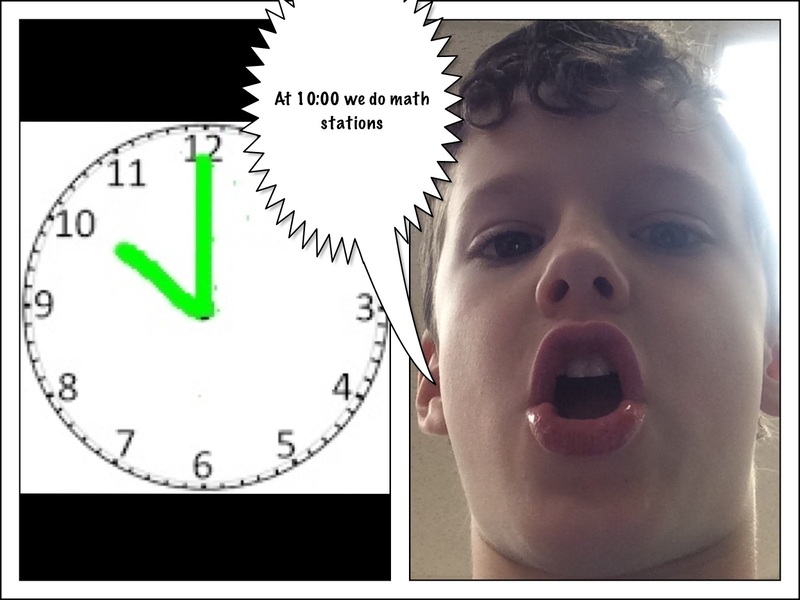 Then in strip designer we set to work. 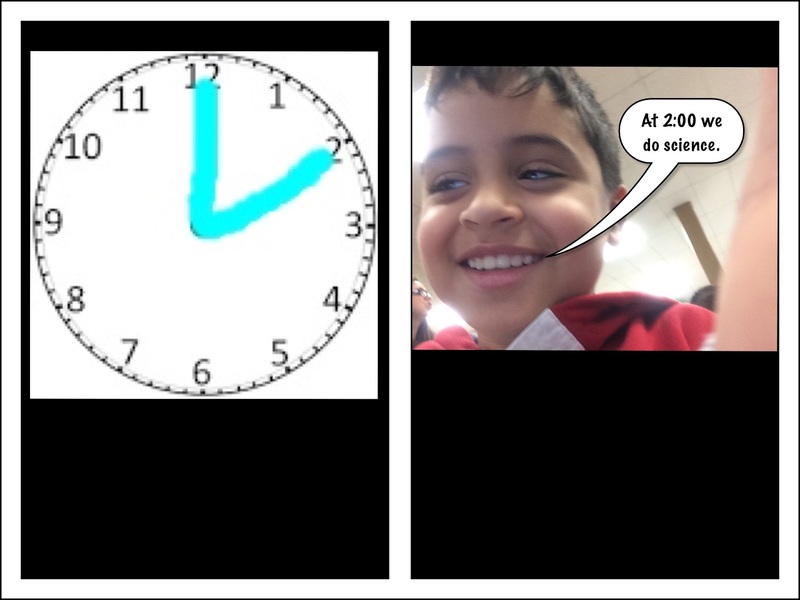 The students loved taking selfies and adding the speech bubbles to their work. 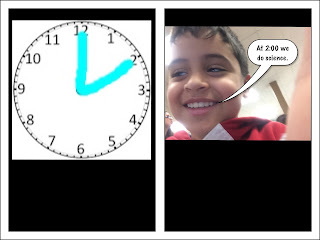 I printed them out for the teacher and she hung them in a timeline in the classroom.